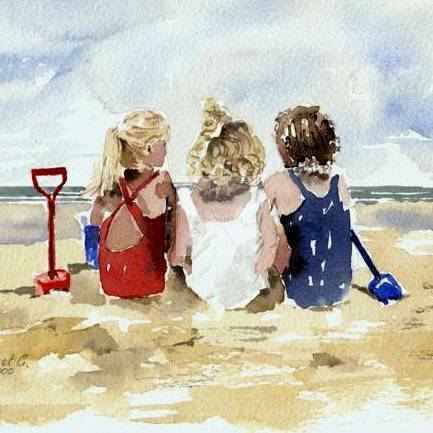 Three Little Girls is an original framed watercolour measuring approx. 12" x 14". Please contact me for more information.